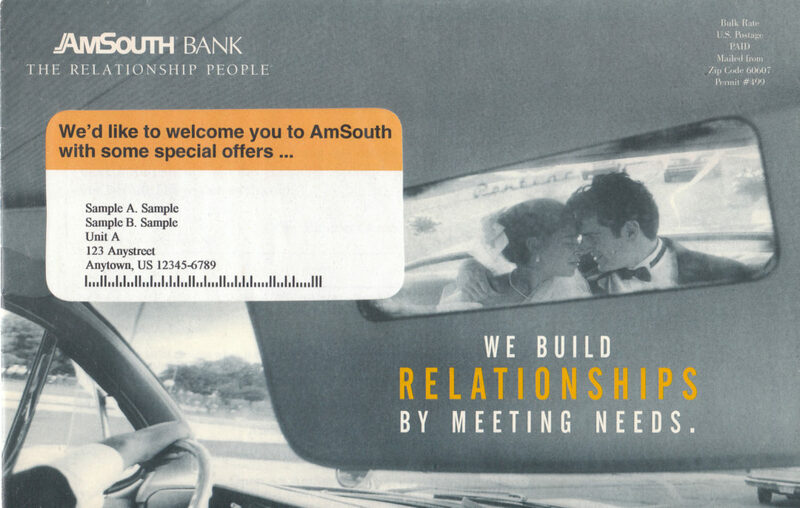 AmSouth Bank adopted an aggressive Cross-Sell strategy that featured direct mail, coupled with telemarketing. We developed a program that took their “Next most likely product” analysis, and assigned specific offers and copy to appeal to each customer individually. Certain renewal segments of this audience responded in excess of 70%. Customer loyalty rose drastically with this retention program, which was highly profitable from the very first day we started it. We alternated the creative look between promotional and business, and alternated within each category to provide a new look to the frequently-mailed audience.